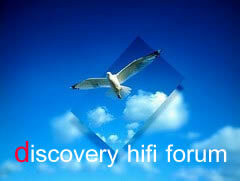 discovery hifi forum :: อ่าน - สายลำโพง Viard รับ 5 ดาว..
สายลำโพง Viard รับ 5 ดาว..
ตอบเมื่อ: Tue Apr 23, 2013 2:47 am เรื่อง: สายลำโพง Viard รับ 5 ดาว.. The Viard Audio Design HD12 Silver speaker cable is excellent, offering versions with a reconstruction of the stage like a champion, a perfectly preserved and complete dynamic range and remarkable breadth and depth of the music. In relation to what has shown this cable, if accompanied by electronics and speakers of the same quality, is highly recommended.